Most people would agree that fossil fuels simply need to go. They’re the cause of pollution, wars and climate change. Scientists have been researching alternative energy solutions like wind and solar power, and hydrogen fuel for cars, for years. Presently, over seven billion people populate our planet, which means on average around 10.5 billion litres (2.8 billion gallons) of human urine is produced and wasted each day. It’s the equivalent of 4,200 Olympic-sized swimming pools, if anyone was counting. In fact, some scientists are – and if they have their way, our human waste will be wasted no more. We could harness the power from the urine in near future, as new bacteria-powered fuel cells have developed by the researchers at the University of Bath - an innovative miniature fuel cell that can generate electricity from urine, creating an affordable, renewable and carbon-neutral way of generating power. To extract energy from excrement, the team developed small, microbial fuel cells that exploit the biological process of bacteria to generate electricity from organic matter. The researchers claim their design is cheaper and more powerful than similar devices. 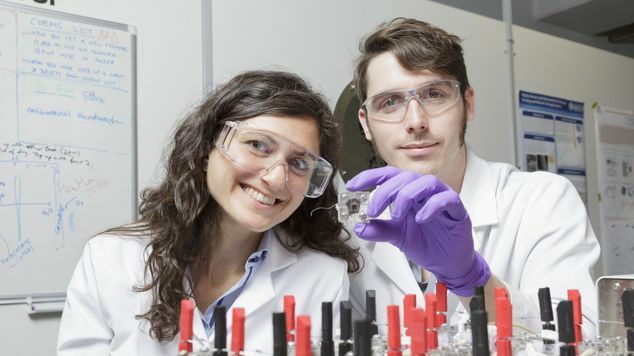 Measuring just one square inch, these fuel cells are made with a carbon catalyst created from glucose and ovalbumin (a protein found in egg whites) rather than platinum, which is often used in microbial fuel cells. Glucose and ovalbumin are renewable and significantly cheaper than the platinum alternative. This device could provide a means of generating much needed electricity to remote areas at very little cost; each device costs just £1-£2. With growing global pressures to reduce reliance on fossil fuels and the associated greenhouse gas emissions, microbial fuel cells could be an exciting alternative. 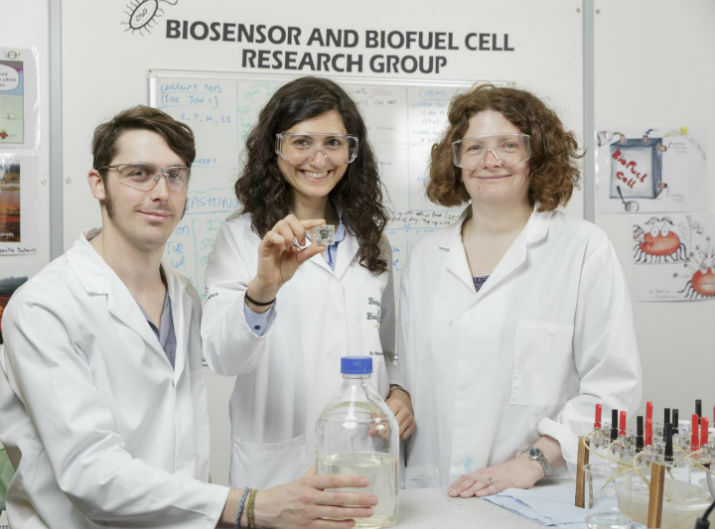 Lecturer in the University of Bath’s Department of Chemical Engineering and corresponding author, Dr Mirella Di Lorenzo, said: “If we can harness the potential power of this human waste, we could revolutionize how electricity is generated.